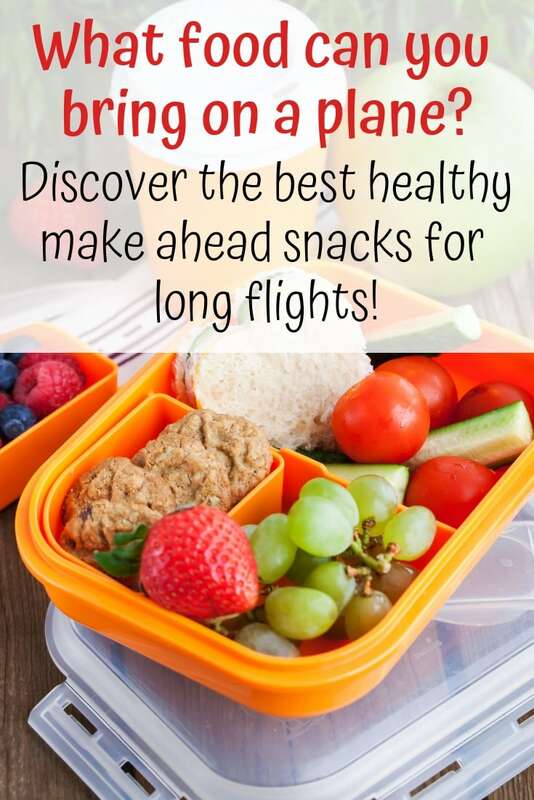 Discover the best travel snacks for airplanes! Learn what to pack for a long flight, make ahead airplane meals, and what food you can bring through TSA! Planning my travel snacks has been a huge part of packing for me ever since airplanes stopped really serving food on domestic flights! 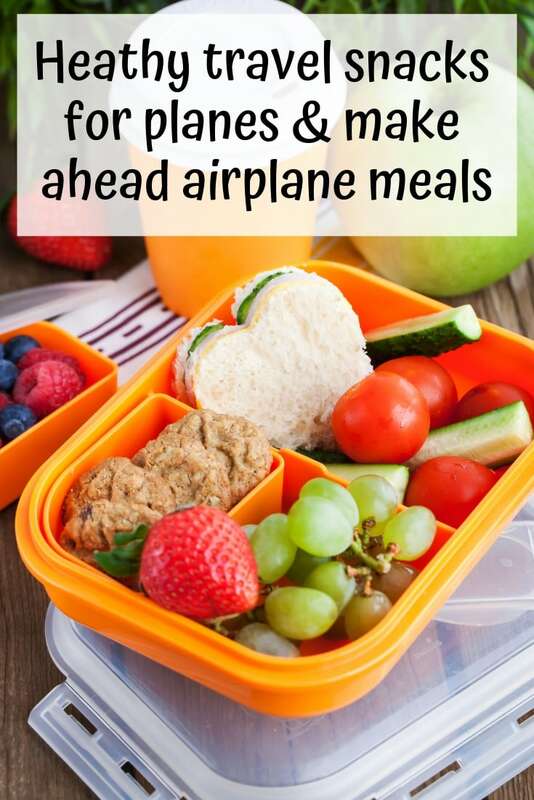 Years of living in Hawaii and making long haul flights back to the East Coast have given me plenty of practice packing travel food, so today I’m sharing my list of the best travel snacks for airplanes (plus some make ahead airplane meal ideas to keep you full in flight!). 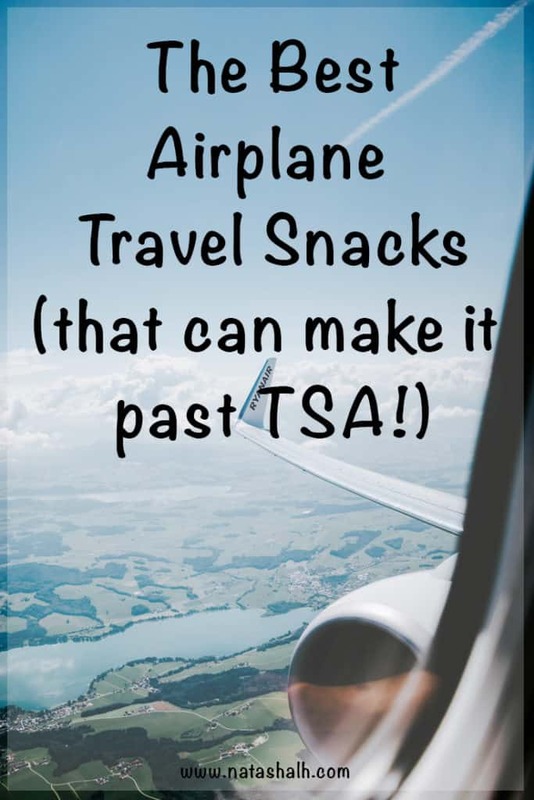 I hope you enjoy these airplane food ideas and leave your favorite travel snack suggestions in the comments below! Can you bring food through security at airports? Anything that the TSA considered a liquid or gel must be in a container 100 ml or less and in your liquids bag. This includes things like peanut butter, almond butter, hummus, and yogurt. You and I know peanut butter isn’t a liquid, but ¯\_(ツ)_/¯ If you are unsure about something, please check the TSA prohibited/allowed foods list. Food items must be wrapped/contained (unless they’re a naturally-occurring whole food item, like an apple or a banana). For example: you can’t just throw a sandwich in your carry on without a wrapper, but it’s totally fine if it’s in a ziplock bag. This really isn’t a big deal because because you’re probably already planning to wrap loose food, but just letting you know that it’s an official rule! 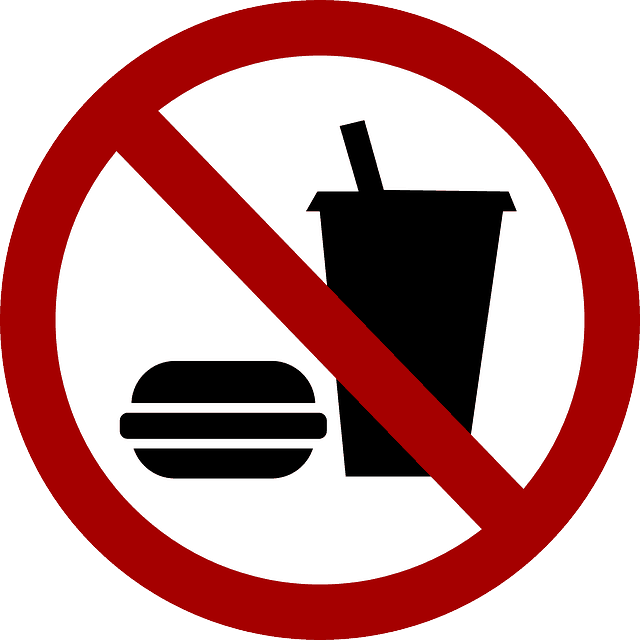 Produce items are fine on domestic Mainland flights, but generally not allowed on international flights. I’ve been on some international flights where produce was okay on the plane, but couldn’t deplane with you, but I’ve also had produce confiscated at the airport. Expect to pull your food out at security. Although it is allowed through security, they’re currently making you remove it from your bags, just like electronics and your liquids bag. If you have Pre-Check, they should allow you to keep your foods in your carry-on, unless it needs to be removed for additional screening. In January we were asked to remove all food from our bags in spite of having Pre-Check. To make things easier, consider packing all your food in the same location, even if you rearrange things after you’re through security. No matter how “good” an airplane snack is, overall, always make sure to chose foods that agree with you. Sitting still and being at altitude can both adversity affect your digestive system, leading to bloating, trapped gas, and not so trapped gas. If you know something makes you feel uncomfortable on the ground, it’s best to avoid it in the air and for several hours before flying. Keeping your travel snacks cool is fairly easy because there are so many soft insulated bags, lunch boxes, and hot/cold lunch canisters available these days! If you don’t own any of these items, your best bet is a paper bag (or two) because it will help keep your snacks more cool than a plastic or cloth bag. You can even pack any of these snack ideas in a hot/cold wide mouth thermos! Hard boiled eggs. Although you should avoid boiled eggs if they typically make you gassy (being at altitude can exacerbate the situation), I like eating boiled eggs on the go. 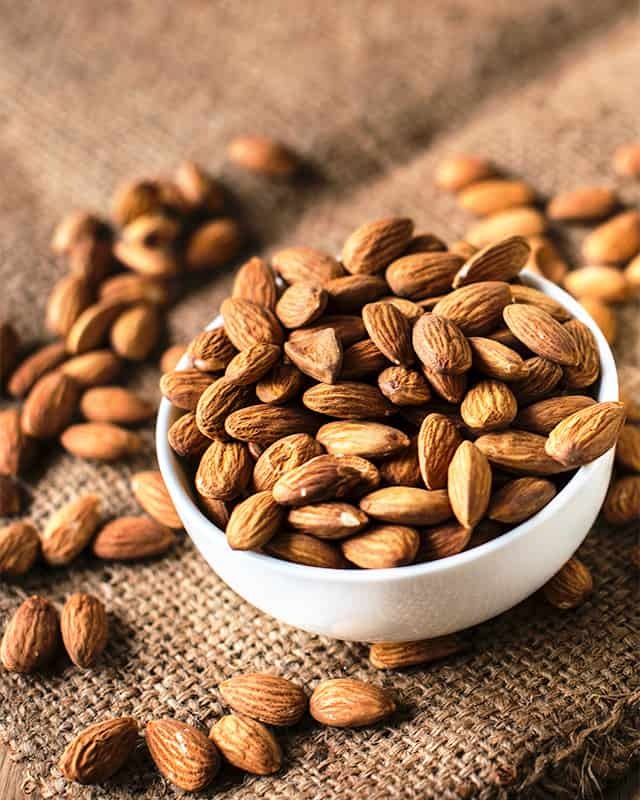 They’re rich in protein, which can be hard to come by on a plane, and they’re high in vitamin B12, which helps the body respond to external light and plays a role in regulating your circadian rhythm. Fruits. Pre-cut pieces of melon (just make sure to pour off any extra liquid that accumulates at the bottom!) are the perfect airplane snack because they help keep you hydrated, too. 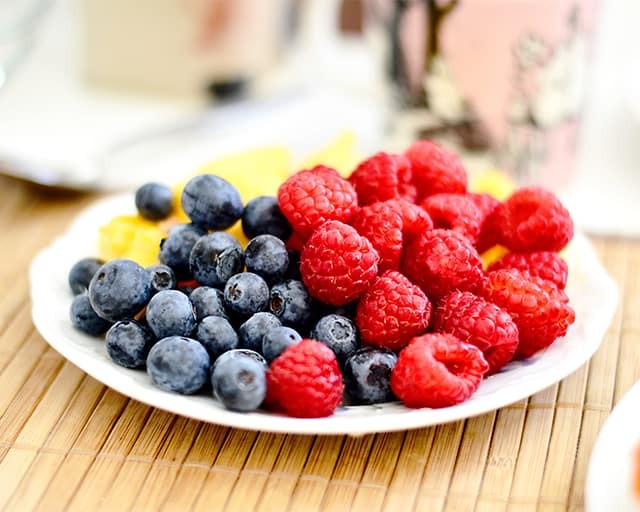 Berries are also a great choice because they help hydrate and contain antioxidants that may help combat the inflammation associated with travel and jet lag. Veggies. Baby cut carrots, carrot sticks, bell pepper strips, cucumber slices, whatever veggies you like to eat raw! If you prefer to eat your veggies with dip or hummus, you can either get a small container and place it in your liquids bag or snag a cup of dressing at the airport. Salad. If you really want to eat healthy on the plane, consider packing a salad! But, of course, don’t add the dressing. 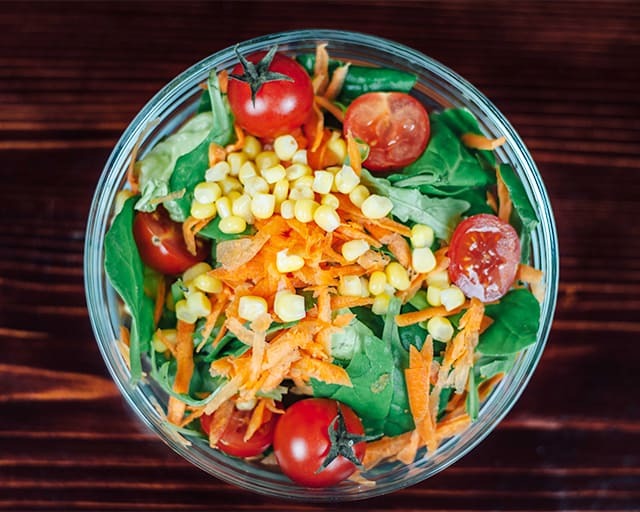 Spinach, kale, and chard are especially good salad bases for travel because they’re all high in magnesium, an important mineral that helps regulate your sleep/wake cycle. A sandwich. Just make sure to hold the condiments! Slip packets of mustard and mayo into your liquids bag or just hit up the airport food court. Lunch meats are perishable, so make sure to keep your sandwich cool. 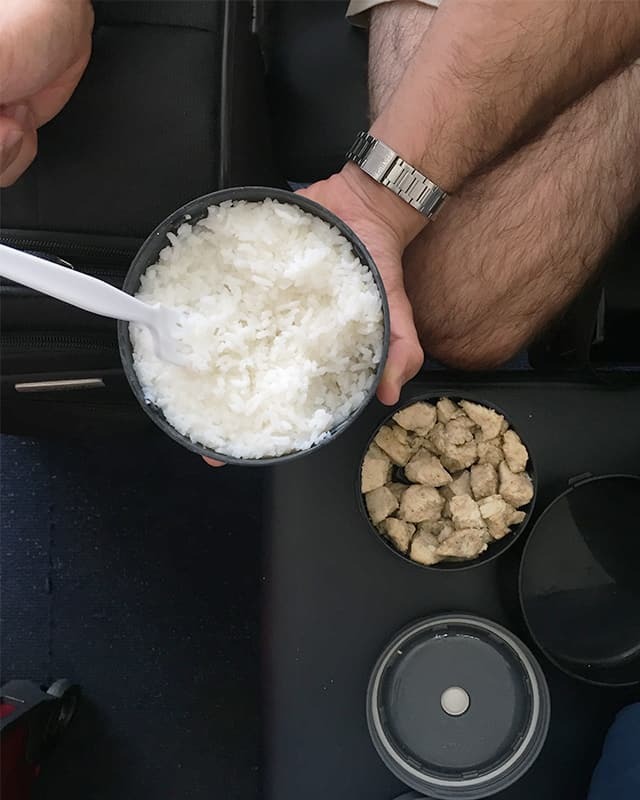 Yes, you can enjoy a delicious, warm meal on the airplane! (Or in the airport, your choice.) All you need is an insulated thermos or a lunch canister. I highly recommend using one that’s double wall stainless or has a soft insulated carrier instead of an old-fashioned glass thermos to prevent breakage. We purchased this lunch can for my husband in October 2014 and, in spite of daily use for almost 4 years, it’s still working great! We used it on a recent trip to pack a filling, warm meal enjoyed at the Atlanta airport. We particularly like that it has three separate containers. It enjoyed some extra security scrutiny on our outbound trip, but made it through just fine. On the way home, it didn’t even get stopped for an extra search. Rice, couscous, faro, and/or quinoa. If you’re on a really long flight, you may want to avoid carbs since you’ll just be sitting. If you’re taking shorter flights or plan to get your day’s exercise in walking (or running!) through the terminal, carbs can be helpful. To help avoid a ‘crash’ or feeling sluggish, make sure to pair carbs with a healthy fat or protein. Chicken (without sauce). We grilled up some chicken the night before flying, microwaved it in the morning, and had delicious chicken on the go! Baked or fried tofu (or your favorite non-saucy preparation). Any lean, sauceless beef or pork. For example, this oven-roasted pork tenderloin sliced into medallions. Greasy red meats, like hamburgers, can give you some serious discomfort in the air and are usually best avoided, but you do you. Potato wedges, smashed potatoes, or roasted veggies. Deep fried foods, like tater tots or french fries, usually aren’t a great choice. Unsalted nuts. I’m seriously loving the Costco Kirkland unsalted nut mix! Try to avoid added salt as much as possible while flying because it can contribute to dehydration and jet lag. Low-sugar granola bars like Perfect Bars or RXBars. Try to avoid added sugars because they can contribute to jet lag. Although they’re easy to pack, foods like potato chips, candy, pretzels, salted nuts, and dried fruit should be used as ‘last resort’ snacks if you truly can’t pack anything else. They can contribute to dehydration, which is already a significant problem when you fly. 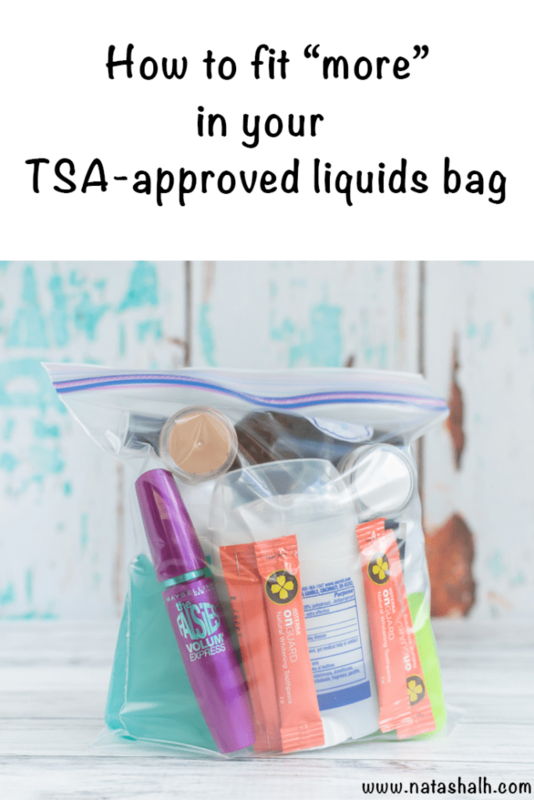 If you’re currently packing for a trip, please stop by my post on fitting “more” in your TSA-compliant liquids bag. 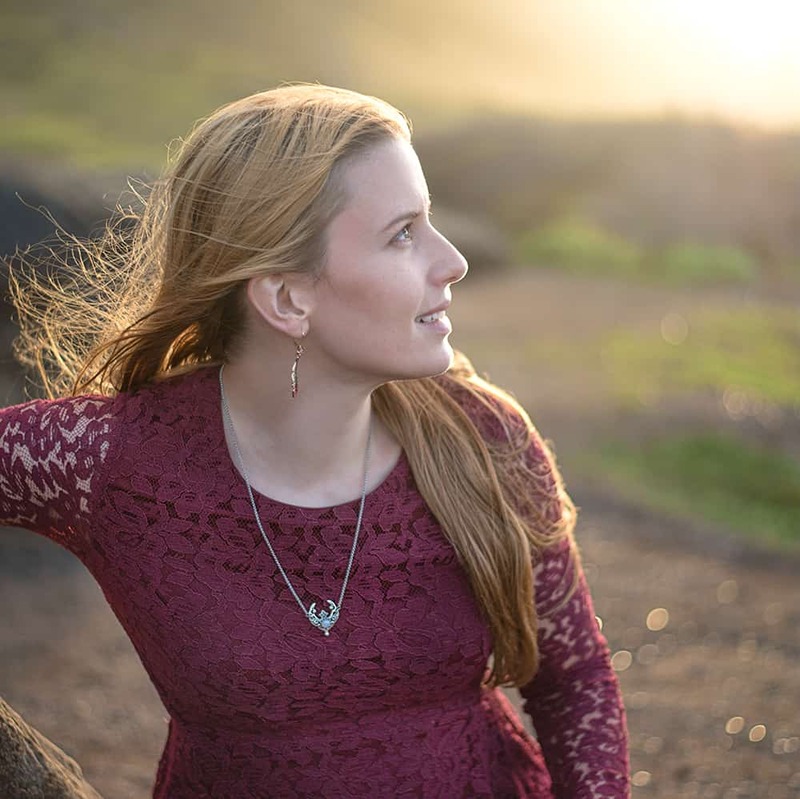 It’s been one of my most popular posts every single week for three years so I’m sure you’ll find lots of great information! 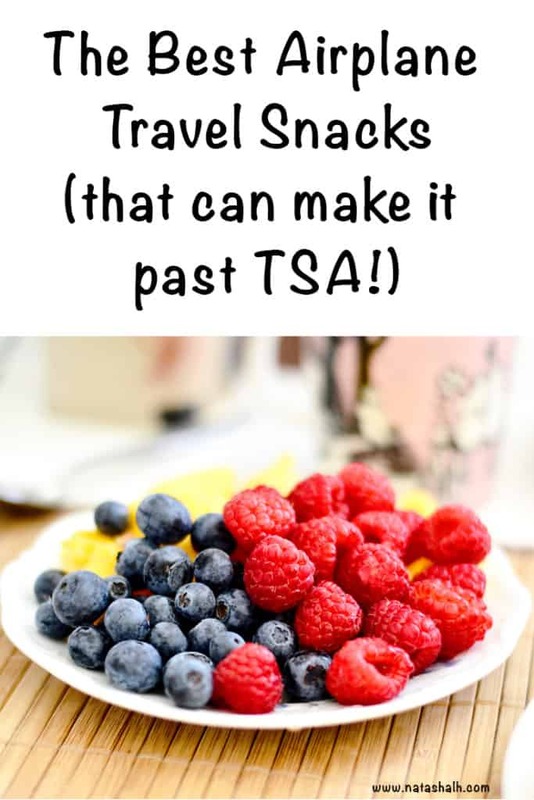 I really hope you enjoyed this list of the best travel snacks for airplanes that can make it past TSA! What are your favorite foods to bring on the plane? Love most of these tips. But if you sit next to me and you whip out a hardboiled egg, I may punch you in your gut….just saying. That’s an awfully offensive odor for a tiny space. The good news is that perfectly cooked boiled eggs have very little smell. It typically occurs when the egg is overcooked, but following the recipe I linked works so well that I’ve never had a smell problem with it! Haha. My whole family lives on Atkins but me so I feel you. The smell of eggs and seafood get me every time. I cringe if they bring out airplane food because of the tight quarters.